Native Instruments has taken the incredible performance power from their line of TRAKTOR DJ controllers, and have integrated that extensive knowledge into their very first 2-channel DJ mixer and controller. 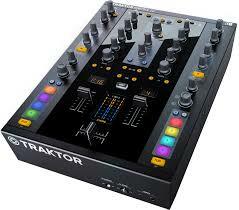 Enter in the world of the TRAKTOR Z2 2+2 Control Mixer. Built tough for pro club use, the Z2 excels both as a state-of-the-art club mixer alongside turntables and CDJs, and as the hub of an advanced setup of Remix Decks and controllers. Native Instruments TRAKTOR KONTROL Z2 by Yunsshuang Electronics Co,Ltd at Pakbiz.com a premier Business to Business marketplace and largest online business directory. Find Native Instruments TRAKTOR KONTROL Z2 from Hong Kong complete basis & contact information, business offers, availability & related Consumer Electronics products. This page gives you information about the authentic sellers of this product. It allows buyers and sellers communication directly. It can also facilitate the buyers to purchase the product in reasonable prices.